Let´s make a start in 2k12! Heavy and confusing, but still dead since „decades“! 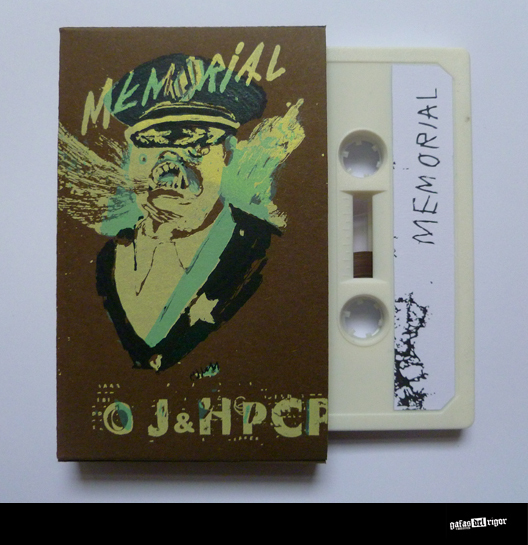 This is a tape-version of their only full-length called „Memorial“! Available in 5 different colours incl. 4-coloured, silkscreened A3-poster. Feat. stunning artwork made by Kirsti Renner (krkrkrkr4@hotmail.de). 50 copies only! More pics soon!